This is a whole new fudge experience! It's so simple to make, your head may explode. Then it'll explode again once you taste the incredible richness and decadent deliciousness. P.S. The peanut butter ingredients perfect the texture, but you’ll mainly taste deep chocolate goodness! Bake until top is firm, 25 - 27 minutes. 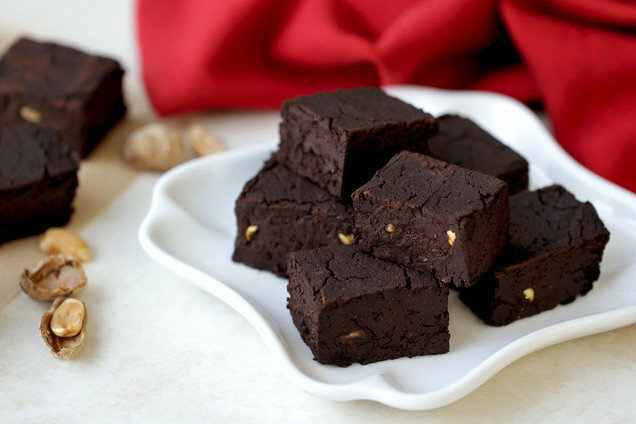 Hungry for More Low-Calorie Fudge Recipes? December means it's National Eggnog Month! If you haven't tried the coconut-based perfection that is So Delicious Holiday Nog, hit the store ASAP! Fudge for everyone! Click "Send to a Friend" now.